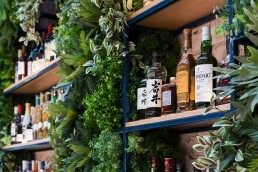 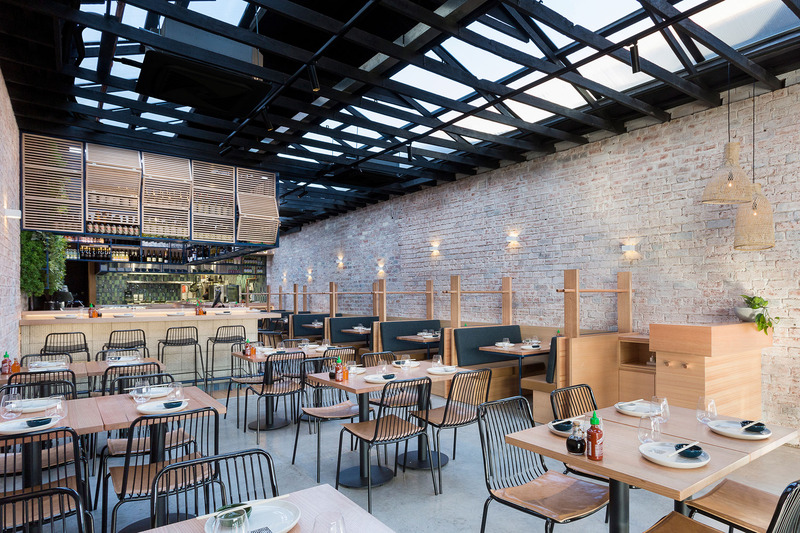 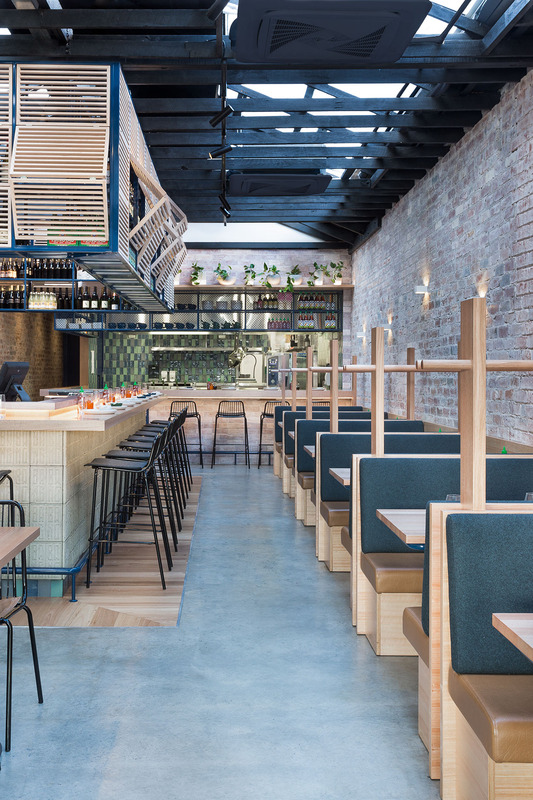 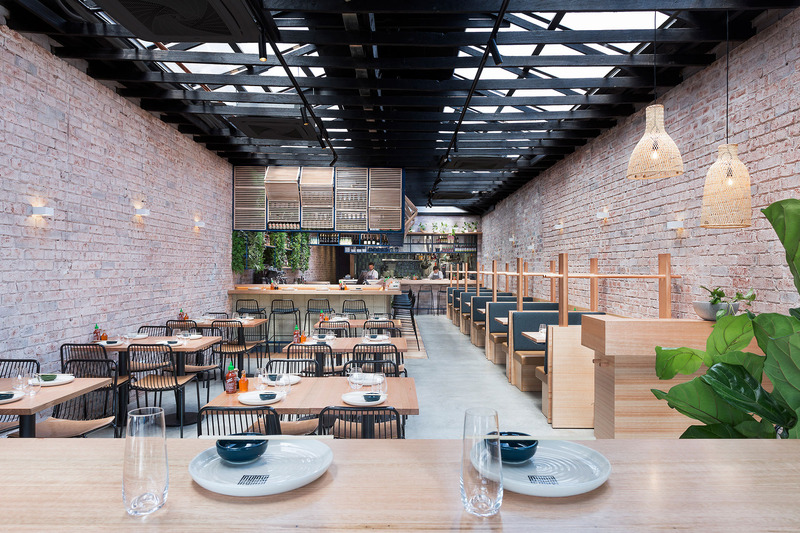 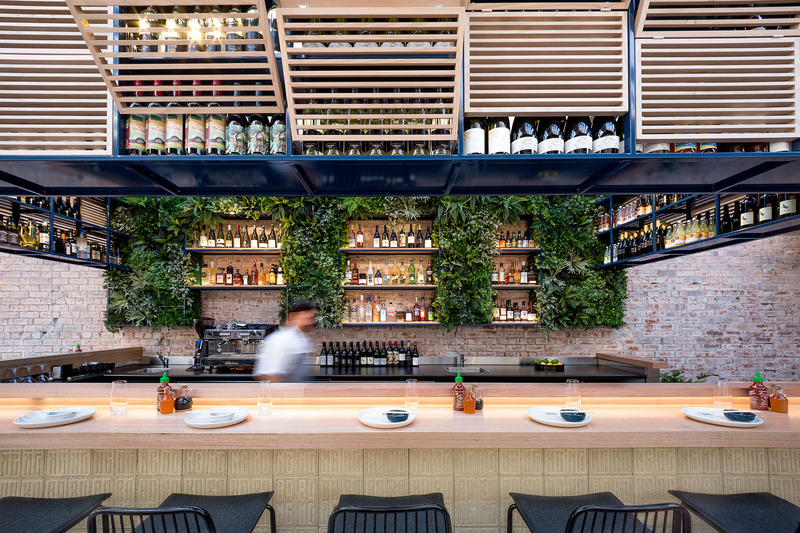 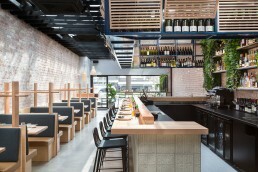 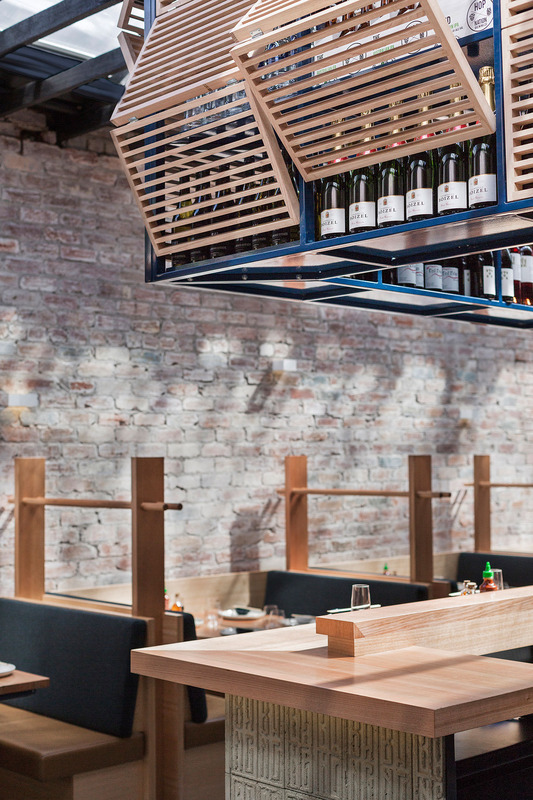 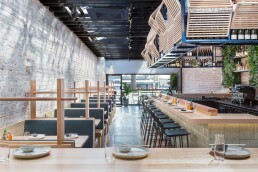 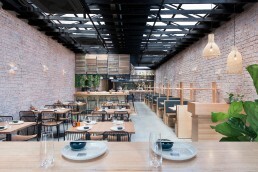 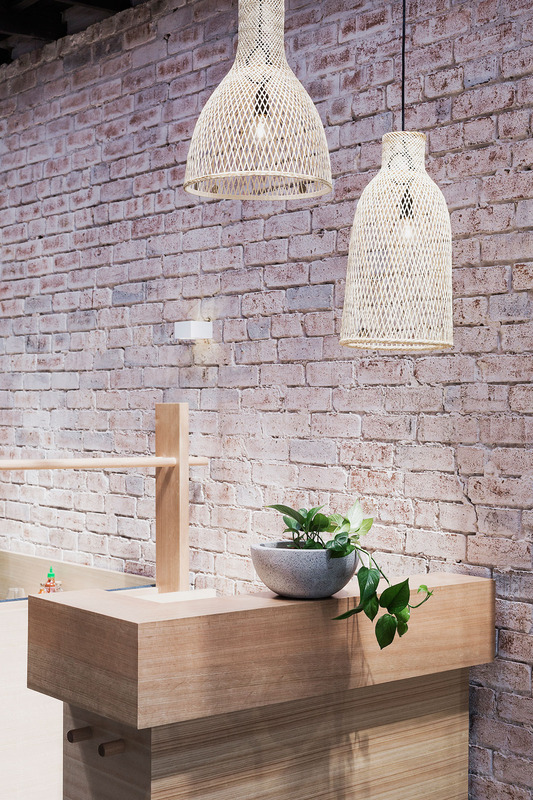 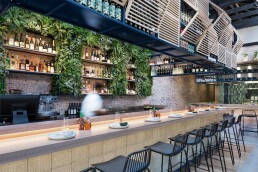 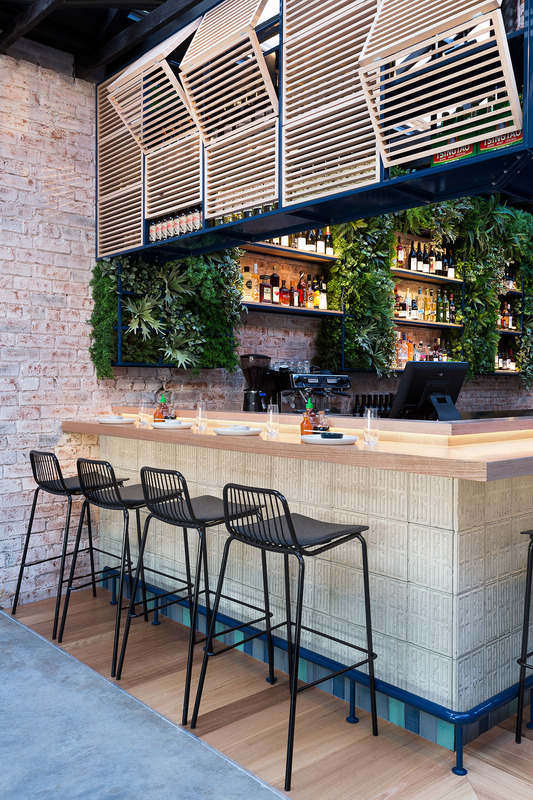 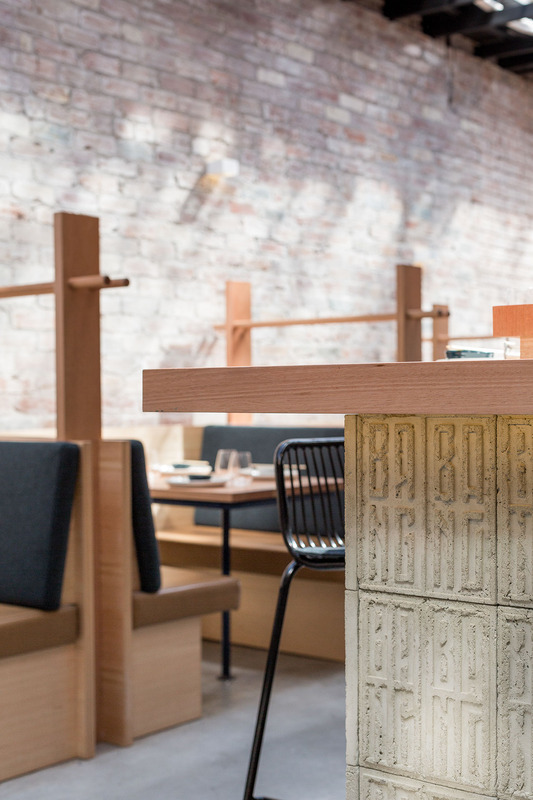 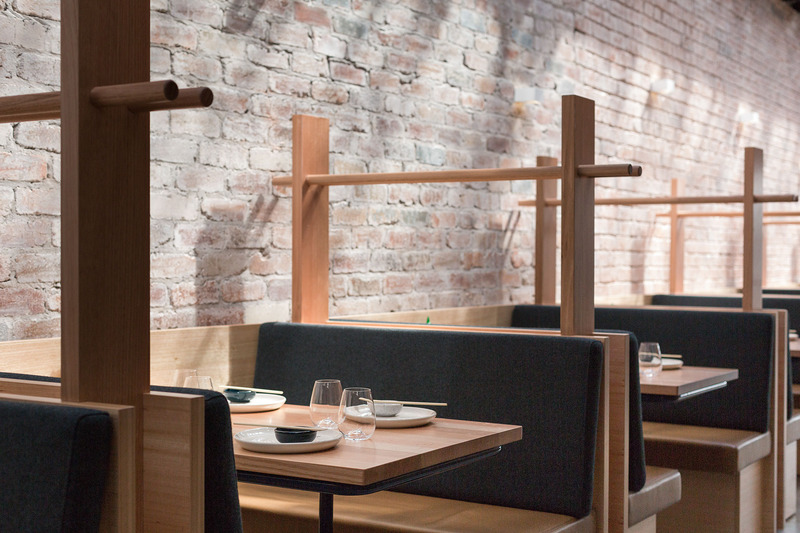 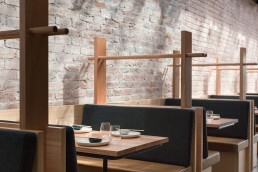 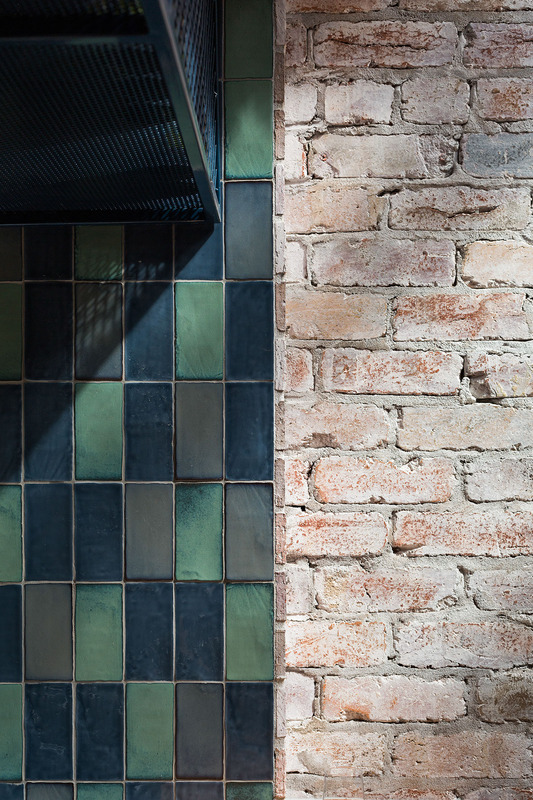 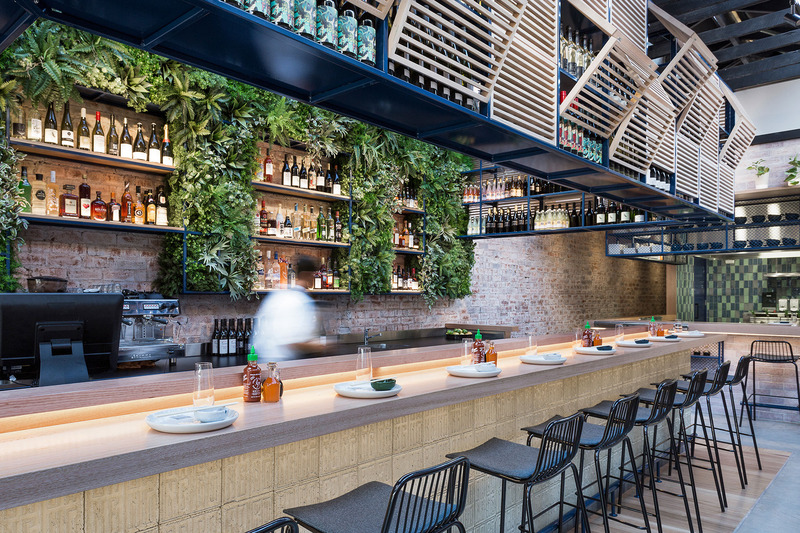 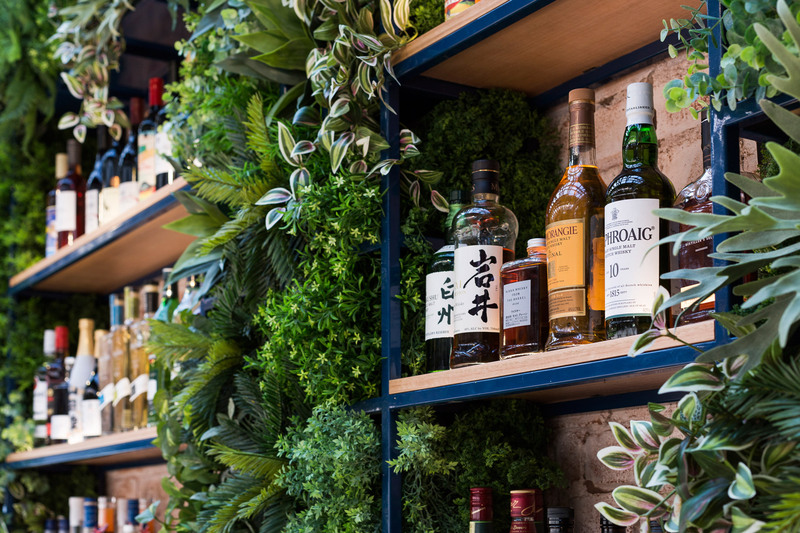 A casual Pan-Asian bar and diner with a high-energy vibe and richly textured palette of materials inspired by the flavours, sounds and smells of Asia. 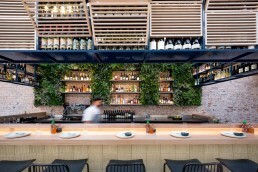 Located in a busy strip of shops, the restaurant features a heritage-listed facade. 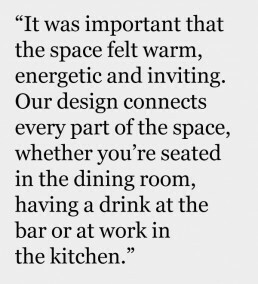 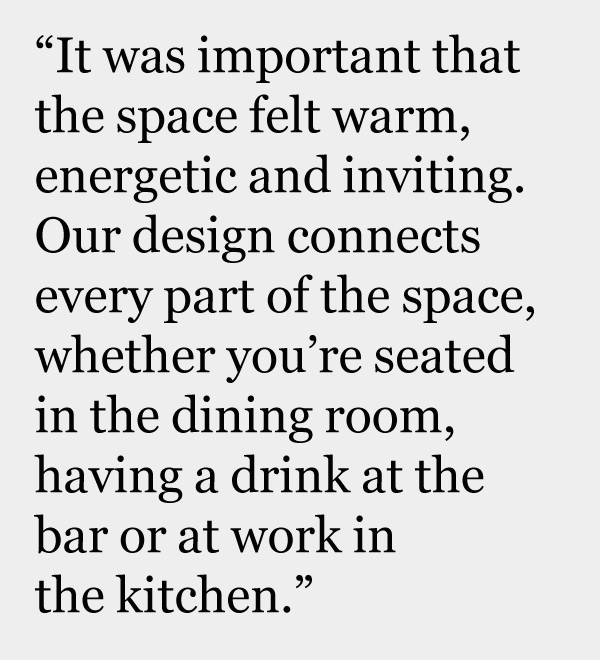 Different dining zones were achieved to create a level of interaction between diners, staff and the interior itself. From the street-side tables to the open green-tiled kitchen at the rear of the space, an energetic vibe flows through the space. Along the street frontage, a row of bifold windows with a high bench and stools connects the outdoor and indoor spaces.